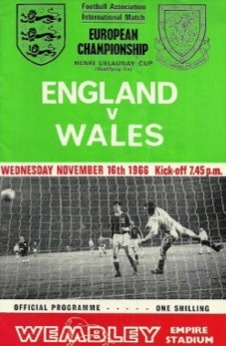 England’s first home match after the 1966 World Cup glory was an anti-climatic 0-0 friendly draw with Czechoslovakia, but two weeks later they regained their goalscoring form when it mattered more. Their new aim was to become 1968 European Championship winners, with successive Home International series doubling up as the qualifying group. Against Wales, England fielded their revered World Cup winning XI for the sixth successive – and final – time. Geoff Hurst rounded off his most memorable year by scoring twice, with the Charlton brothers each on the scoresheet along with an own goal by Terry Hennessey as England won 5-1. Paul Mariner puts England ahead against Hungary and the nation breathes a huge sigh of relief. England’s qualifying campaign for the 1982 World Cup had been turbulent and they had looked all but out after losing to Norway two months earlier. But then came the stroke of good fortune they had been praying for, as Romania twice slipped up against Switzerland – who in turn lost to Hungary to end their own qualification hopes. Suddenly, England now only needed a draw at home to Hungary to make it – a situation identical to against Croatia almost exactly 26 years later in Euro 2008 qualifying, both matches against teams who were already through. Bryan Robson bags a hat-trick as England beat Turkey 8-0 in 1984. Three years on from the Hungary game, England were back on the World Cup qualifying trail as they met Turkey for the first time. Although the Turks were not regarded as a good side at the time, a potentially tough fixture seemed in store in front of a partisan home crowd in Istanbul. But England had renewed confidence after winning away to Brazil in a friendly in the summer and a 5-0 victory over Finland in their opening qualifier the previous month. That buoyancy was in evidence as they won 8-0, looking capable of scoring with each attack. Captain Bryan Robson netted a hat-trick, with Tony Woodcock and John Barnes each bagging a brace and Viv Anderson rounding off the scoring. It could have been more, leading to manager Bobby Robson saying afterwards he felt England had “let them off the hook” by ‘only’ winning 8-0. But that was just nit-picking, for it had been an excellent afternoon’s work for England. 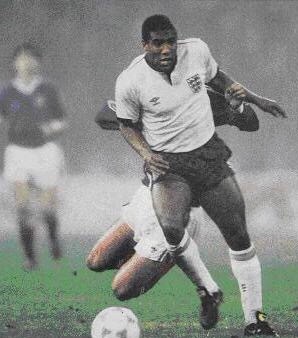 John Barnes in action for England against Yugoslavia in 1987. A crunch qualifier for England, as they looked to seal their place at Euro ’88. A draw away to Yugoslavia would be enough, but if they lost to a decent-looking side then in all probability they wouldn’t make it. A tight contest was forecast, with England expected to keep things tight on a filthy afternoon in Belgrade. To everyone’s amazement England led 4-0 within half an hour, as they looked extremely potent in front of goal. “I had to pinch myself when the third and fourth goals went in,” said a delighted Bobby Robson afterwards. Peter Beardsley, John Barnes, Bryan Robson and Tony Adams all found the net as even the most pessimistic of England fans began celebrating early. Although a late consolation goal would deny England from qualifying without conceding a goal, this was a day to treasure and the 4-1 victory looked a very impressive result. England had scored 12 goals in their last two qualifiers and would seemingly go into Euro ’88 as a genuine contender. Alas, it was not to be. England celebrate as Paul Scholes scores against Scotland in 1999. There was excitement both north and south of the border in the autumn of 1999 as old rivals Scotland and England were paired together in the play-offs to decide who would qualify for Euro 2000. England had struggled in qualifying to even reach this stage and they knew they would be up against a determined Scottish side, backed by a fervent home crowd in the first-leg at Hampden Park – where England had not played for 10 years. Kevin Keegan’s side rode their luck a bit at times but enjoyed a memorable 2-0 win as Paul Scholes scored twice in the first half and left the Scots facing an uphill struggle to qualify. “We played fantastic today. I couldn’t have asked for more,” raved Keegan afterwards. The result meant England were unbeaten in 23 consecutive November matches since losing to Italy in 1976, a record which helped back up former manager Bobby Robson’s belief that this was a time of year when the team was at its best. But sadly it would be the end of the run, as the second-leg was lost 1-0 and England scraped into the finals. However, that first-leg win had been decisive in taking them through. Michael Owen gives England a memorable win over Argentina in 2005. So far this century friendlies have – with a couple of exceptions – monopolised England’s November schedule. Although they have enjoyed wins over Germany, Spain (World Cup and Euros holders at the time) and Scotland in such matches that could all have well have made our selected six, the friendly that stands out most took place in neutral Geneva against Argentina 10 years ago. “No such thing as a friendly when these two meet,” may be a bit of an overused cliché when England take on any of their main rivals, but in this instance it was true for positive reasons – as unlike many friendlies it felt like a genuine international contest where the result really meant something. Three momentous World Cup clashes between the sides in the previous 20 years added to the fixture’s intensity. Argentina were predicted to be a force in the following year’s World Cup so this fixture looked a good benchmark as to how good England were, coming after poor defeats in recent months to Denmark and Northern Ireland.